The Biogas Renewable Generation Project will generate approximately 12 megawatts of renewable green energy for the City of Glendale on a three-acre portion of the City landfill. The Proposed Project would beneficially utilize the naturally recurring landfill gas locally without having to transport the gas offsite. This naturally occurring renewable fuel will generate electric energy for local consumption. 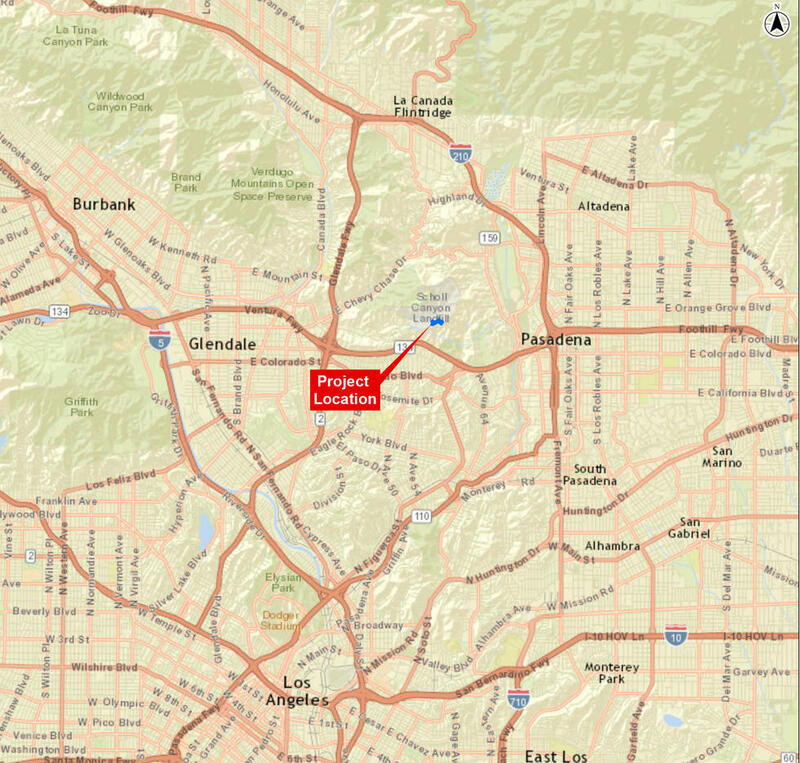 The proposed Biogas Renewable Generation Project is located within the boundaries of the existing landfill site at 3001 Scholl Canyon Road, Glendale California, 91206. Regional access to the site is from the Ventura Freeway (State Route 134) at the Figueroa Street exit. Construction of the proposed project will occur over a course of approximately 15 to 18 months through implementation of approximately three phases of development. Phase I – Demolition and Removal of Existing Equipment. Phase I will be implemented over four to five months and it will entail demolition and removal of existing equipment from the site to make room for the new power plant. Phase II – Site Grading and Construction. Phase II will begin after Phase I is completed and will be implemented over the next nine to ten months. ◾ A new 60,000 gallon storage water tank will be constructed to provide fire protection water for the Project. ◾This phase will also entail building concrete foundations, delivering and installing electrical generating equipment located within individual enclosures, compressors, landfill gas and condensate conditioning and treatment systems, electrical switchgear and other equipment and construction materials required to build the power plant. ◾A single, less than 1,000 square ft. storage building and a less than 1,000 square ft. office will be constructed. Pipes, conduits, and wires will be delivered and installed. A security and fire protection system will also be installed. Phase III – System Startup. Phase III will begin after Phase II is completed and will be implemented over the next two to three months. ◾Phase III will entail such work activities as sandblasting, priming and painting the facility, delivery of consumables and verifying the operational capabilities of all systems required to make the facility safe and operational. ◾ After all the systems have been checked out for safe operations, the facility will be turned over to Glendale Water and Power operators to commence producing clean, reliable, and renewable electricity for the residents of Glendale. 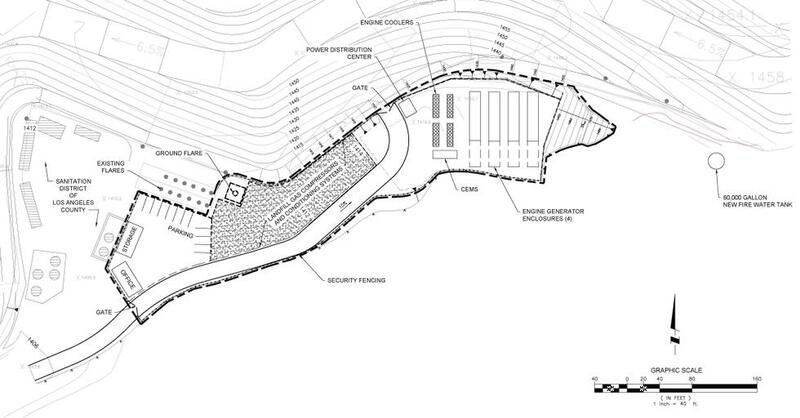 To make room for the Proposed Project, the existing landfill gas processing facility which conveys landfill gas to the Grayson Power Plant will be dismantled and removed.The existing concrete foundations and existing asphalt roads would also be demolished. Provide beneficial use of naturally occurring landfill gas as fuel for power generating equipment. Utilize the renewable biogas energy resource to help the City of Glendale meet its California mandated Renewable Portfolio Standards requirements. Located within an existing disturbed area within the boundary of the landfill. Use of the existing transmission system to deliver generated electricity into the electrical grid without a need for transmission facility upgrades. The existing landfill gas pipeline from the landfill site to the Grayson Power Plant will be abandoned thereby eliminating the pipeline that runs through residential communities and eliminating long-term maintenance costs associated with use of the pipeline. Submitted Initial Study/Mitigated Negative Declaration (IS/MND) to State Clearinghouse, LA County Clerk, and sent Notice of Intent letter to local stakeholders and community. • Landfill gas compressors to increase the landfill gas pressure from near atmospheric to the pressures required by the landfill gas treatment system and electrical generation equipment. • Landfill gas conditioning system to prevent damage to the electrical generation equipment, and will consist of vessels, coolers, heat exchangers and control systems, designed to remove moisture and unwanted constituents from the landfill gas, which includes a new flare. • Condensate treatment system to allow collected condensate to comply with the City of Glendale's Industrial Waste Discharge Permit prior to disposing the condensate into existing sewer system. • Electrical generating equipment consisting of reciprocating engine generators to produce electricity using the landfill gas as fuel. The electrical generating equipment will be self-contained and located in individual enclosures. • Combustion exhaust gas cleanup system and emmission monitoring system to comply with South Coast Air Quality Management District regulations, consisting of reactive catalyst using 19% Aqueous Ammonia as reactant to minimize emissions of nitrogen oxides. • Electrical interconnection system to allow interconnection to the existing City electrical system. • Small office and small storage building, less than 1,000 square feet each, required for operating and maintaining the Proposed Project. • Fire protection and safety system to comply with National Fire Protection Association and Glendale Fire Department requirements. • A new 60,000-gallon water fire tank would be constructed to provide water for fire protection. • Area lighting, fencing, and security system would be provided for safety and security. The proposed Biogas Renewable Generation Project includes an approximately three-acre site which landfill gas would be received, conditioned, and combusted in reciprocating engines to produce approximately twelve megawatts of renewable electricity. The Proposed Project includes an approximately two-thirds of a mile of natural gas pipeline to connect the power generation facility to the existing Southern California Gas Company pipeline system located at the eastern end of Scholl Canyon Drive. This natural gas pipeline would be utilized to augment the landfill gas when the heat content of the landfill gas falls below necessary operating limits for the electrical generating equipment. Up to 10% of the total energy consumed by the engines will come from natural gas, the remaining 90% of the energy will come from landfill gas. The energy produced from the Proposed Poject will be integrated into the City's power delivery system utilizing the existing electric system connected to the Scholl Substation. The proposed Biogas Renewable Generation Project is located at an existing Class II nonhazardous landfill that has been accepting waste since the 1960’s. This waste is naturally decomposing and producing landfill gas that is combustible and can be put to beneficial use. Currently, the landfill gas is collected at a central location within the Project site where it is compressed and liquids are removed. The landfill gas was sent to the Grayson Power Plant via an underground dedicated pipeline approximately five-miles in length where it was blended with natural gas and used as fuel in the boilers to make steam to generate electricity for the City of Glendale. The process has now ceased because the burning of the gas has proven to be more detrimental to the air quality and the environment, which is why we are proposing a replacement (not new) methane control system at Scholl which is a much better environmental control measure to eliminate methane that is naturally occurring at the landfill. The Grayson Power Plant is being repowered (see website) and the new electric generation equipment is incompatible with the use of landfill gas as fuel. Therefore, the only two options available would be to dispose the landfill gas by incinerating it in a flare, or utilize it for beneficial use by consuming it as fuel for the generation of local renewable electricity as proposed by this Project. Landfill gas is considered a renewable energy resource. 100 percent of the electricity generated by this Project will help the City of Glendale achieve the State of California mandated use of renewable energy. The City will produce and receive 100 percent renewable energy credits, by installing new generation units that can directly utilize the landfill gas at the Project site. Combusting and producing electricity at the Project site will enable the City of Glendale to decommission an approximately five-mile pipeline between the Project site and the Grayson Power Plant. City Council meeting to recommend award of Contract for the Sale for the Power Island Major Equipment and Services for the Proposed Biogas Renewable Generation Project to Convert the Landfill Gas to Energy and the Issuance of a Limited Notice to Proceed to Western Energy Systems, a Division of Penn Detroit Diesel Allison, LLC, and Approval of Alternative Project Delivery Method for the Proposed Power Project. 1st meeting - 2:00 p.m.
2nd meeting - 6:00 p.m.
Biogas is a natural byproduct of the decomposition of organic material in landfills. Biogas is composed of methane (the primary component of natural gas), carbon dioxide, hydrogen, oxygen, and small amounts of other compounds. If this biogas is not captured and disposed of properly it will disseminate into the atmosphere and contribute to detrimental greenhouse gas effects. The normal method of disposal of this biogas is to collect and incinerate it in a flare. The City proposes to collect this same gas and develop the Biogas Renewable Generation Project to beneficially utilize the gas as fuel for internal combustion engines to generate electricity for the benefit of the local community. Proposals are due no later than 4:00 pm Pacific Time, September 7, 2018. Proposals received after the deadline will not be considered. GWP will not be responsible for submittals that are delinquent, lost, mismarked, sent to an address other than the address provided above, or sent by mail or courier service and not signed for by GWP. Final day to submit requests for clarification: August 24, 2018 2:00 p.m. PST. 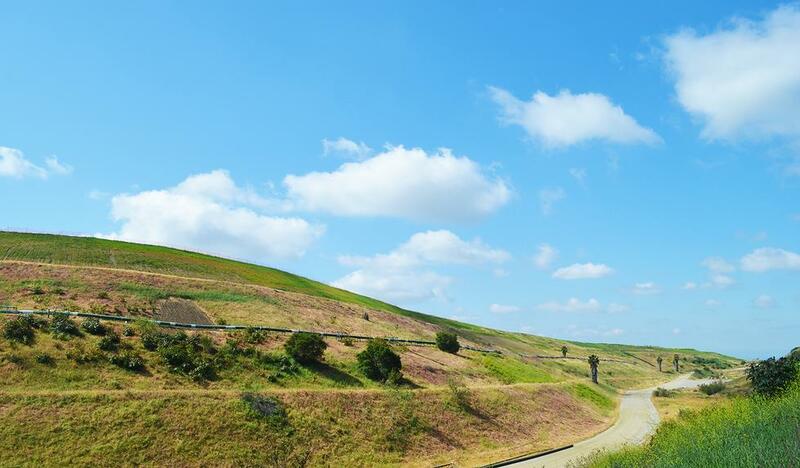 In 1994, the City of Glendale developed a gas-to-energy project at Scholl Canyon landfill. The project captured the naturally-occurring raw landfill gas (LFG) that results primarily from the decomposition of organic waste deposited in the landfill. The LFG, by state and local regulatory mandate, must be controlled in such a manner as to eliminate the venting to the environment of this volatile heat trapping gas that has high methane content. This gas is often referred to as a greenhouse gas or GHG. The accepted control method is the combustion of the raw LFG in a flare, in an engine, or in a turbine, all of which dramatically reduce the overall toxicity and global warming impacts of methane. 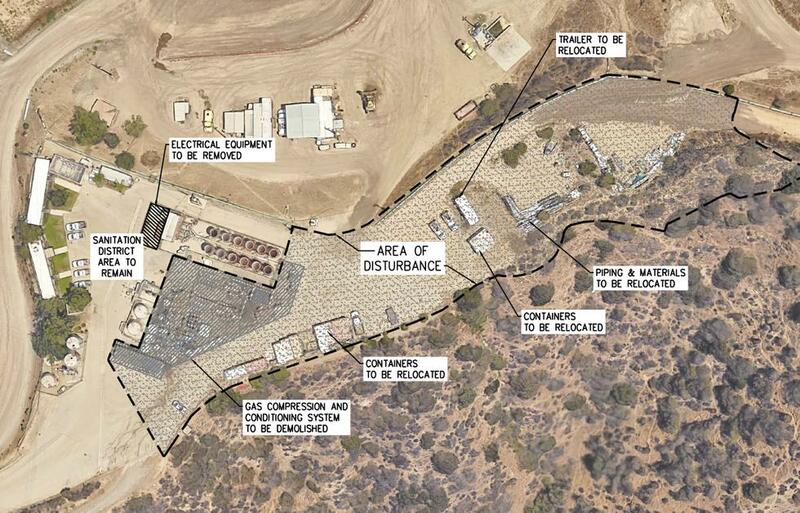 Prior to 1994, the LFG at Scholl Canyon was combusted exclusively in the permitted flares operating at the landfill, which are managed by the Sanitation Districts of Los Angeles County under a Joint Powers Authority agreement with the City of Glendale. When the gas-to-energy project was developed, the LFG was transmitted via a 5.5 mile pipeline to the Grayson Power Plant where it was blended with natural gas and used as fuel in three older, converted boilers (Units 3, 4 & 5) to generate electricity. The flares have remained in place and are permitted and operable and act as a secondary point of delivery/control for the gas. Over the years, the flares have been used, albeit less frequently than before, during maintenance periods, emergency shutdowns, and equipment failures at Grayson. During the past three years, these types of occurrences have been more frequent as Unit 3 was taken out of service due to age and there have been several major repair projects on Units 4 & 5. In the course of compiling the Environmental Impact Report for the proposed Grayson Repowering Project, one particular study area that was included was an evaluation of air quality. The City assessed the emissions from the proposed Grayson facility as well as from the existing facility for a comparison. The results indicated that the emissions from the existing, older and mechanically-degraded Grayson generating units presented a higher than acceptable health risk. The results are included in the EIR on page 9.96 (Table 9-7) and were presented in City Council meetings on February 6 and April 10, 2018. The City promptly notified the South Coast Air Quality Management District (SCAQMD) of the findings and based on the findings, the City proactively implemented a risk reduction measure and transferred the combustion of the LFG to the secondary location at the landfill flare station. The City continues to work with SCAQMD on the future handling and control of the LFG.